We've been through the usual rounds of announcement and casting (including one controversial choice), but now the team behind the new Hellboy have reached the point where they debut a look at the central character to avoid that happening via blurry, badly lit set pics from random photographers. 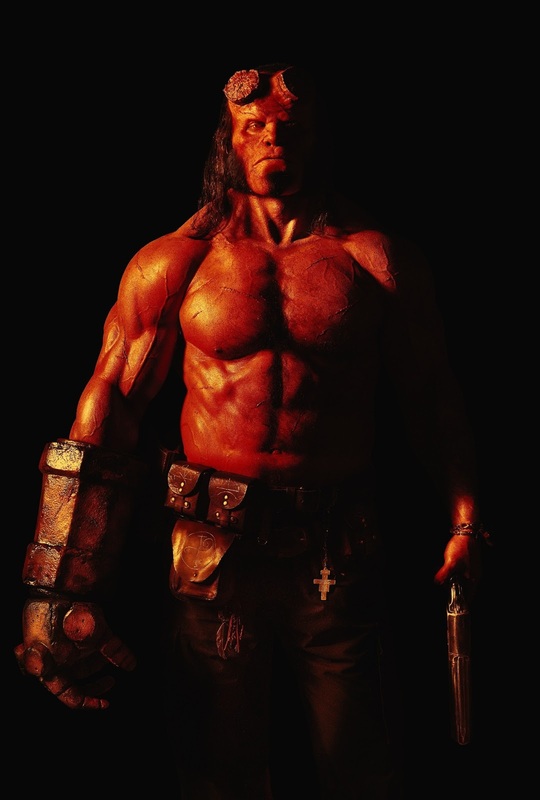 Launched via the movie's official twitter feed is the first image of actor David Harbour in full Hellboy getup. And, honestly, the gut traction here is that he looks pretty darn good. There are little touches to make him distinct from Ron Perlman's interpretation, but on the whole, this is recognisably Big Red. The new movie, which is shooting now, has director Neil Marshall overseeing a story that finds Hellboy and his friends/colleagues battling an evil sorceress (Milla Jovovich) whose mind is firmly bent on revenge. Ian McShane, Sasha Lane, Penelope Mitchell and Daniel Dae Kim are also in the cast.